You may remember me ranting about horrible crayons that don’t work (if not check it out here) so I thought I would share some good quality colouring products from Prang. Before Monday 12th December 5pm Central Time. Thank you for posting your experiences learning with your girls. We’re picking up some good ideas. Would love to win those colouring utensils. Have a great day. Thanks, for sharing because what can be horrible then your colours not working when you need them to work the most. already like quality classrooms on facebook! about to subscribe to you! (if I haven’t already, I think I have…) I home school three little boys! I find with crayons, its worth it to pay for quality. Some of those “$” store crayons don’t work well and , as many are made in China, it is difficult to determine if there are any undesirable ingredients. This is especially important in preschool programs-every class has a child that will try eating the crayons. 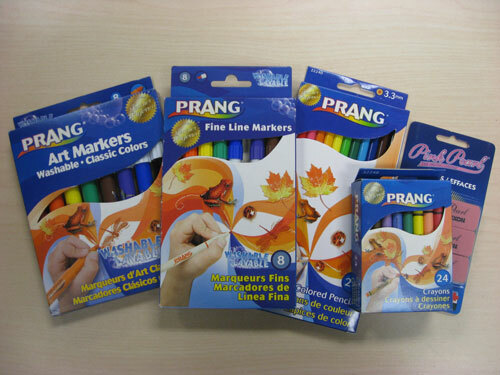 Congrats Megan, you have been randomly chosen to win the Prang goodies! Oh yea! I have never won anything before!!! Wonderful thanks! My three little men will get some good use out of these!!! Thanks!